UK With Foreign Eyes | Could oil nation Norway help save the climate? The world may not be able to make necessary changes in time to limit rapid global temperature rise, the UN climate panel has warned. Existing emissions must also be capturedand stored. Norway thinks it has the answer. For those of us who thought installing solar panels, planting trees and switching to an electric car would do the trick, this month’s report from the UN Intergovernmental Panel on Climate Change was a startling wake-up call. The world is facing climate catastrophe, and urgent and unprecedented changes are needed, it said. That includes carbon capture and storage (CCS), a technology that in the past has been fraught with problems. CCS is extremely expensive, and critics have long argued that it is nothing but an excuse for the fossil fuel industry to carry on as normal, to the detriment of the growth of renewable alternatives. Yet in Norway, the technology is gaining traction. Little surprise, given the country’s continued plans to exploit oil. “The climate challenge is so big that you have to use all the tools that you have in your toolbox,” said Trude Sundset, CEO of Gassnova, the Norwegian state company responsible for finding CCS solutions for the future. While renewable energy production is growing quickly, many industries like cement and steel emit vast amounts of CO2 in their production processes. This is where carbon capture technology is the only solution — apart from shutting down production altogether, argued Sundset. 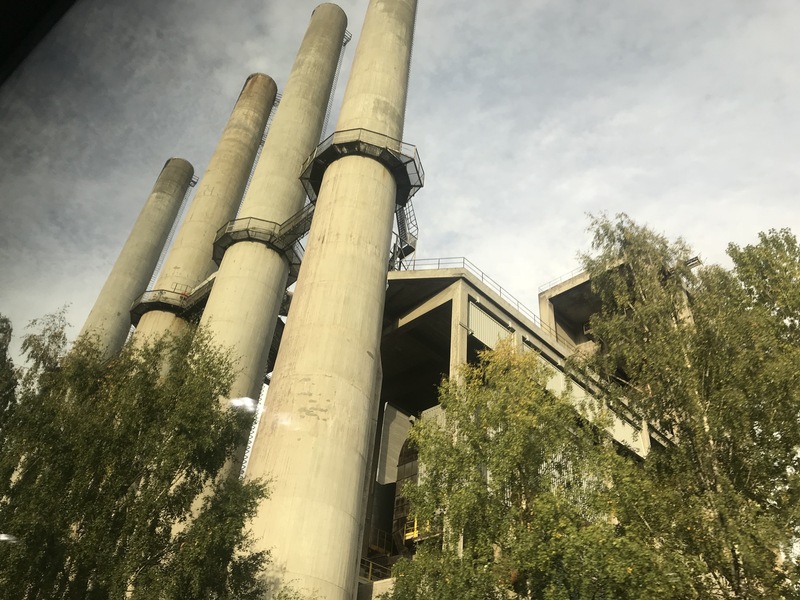 With Norwegian government support, Gassnova is now entering the final stages of a pilot project that could see the first full-scale carbon capture plants installed at a cement factory and a waste incinerating facility. Each would capture 400,000 tons of CO2 annually — that’s equivalent to the emissions from 171,000 cars. “The process of making cement in itself emits a lot of CO2, and the total cement production in the world represents 5 to 7 percent of the total CO2 emissions every year,” said Per Brevik, director of sustainability and alternative fuels at Heidelberg Cement Northern Europe, part of Gassnova’s pilot project. The plant, a two-hour drive south of the Norwegian capital Oslo, has already tested various carbon capture methods and hopes the full-scale solution will be up and running by 2024. “We will take out the CO2 from the flue gas, condition it and store it on the bottom of the North Sea,” explained Brevik. Financial incentive: Higher emissions taxes? The idea of removing CO2 from the air to store it in porous rock under the seafloor is not a new one. Norway’s state energy company, Equinor, has run a CCS plant on one of its natural gas platforms in the North Sea since 1996, proving the technology works. That particular project makes economic sense, thanks to Norway’s €52 ($60) per ton CO2 emissions tax on offshore oil and gas installations. Equinor would have had to fork out €105,000 a day to release the CO2 into the atmosphere, making CCS a cheaper alternative. “The problem is, there is no business model for this [onshore],” said Sverre Overa, a project director at Equinor. The current European CO2 tax is less than €20 euro per ton — although, that price is set to increase in 2019. Could oil and gas know-how save the day? Perhaps somewhat paradoxically, Norway’s experience with offshore oil and gas exploration could start benefiting the environment. Gassnova is now using this technical know-how to prepare a CO2 storage infrastructure that could be implemented across Europe. Captured CO2 will be liquefied and transported on ships to a facility on Norway’s western coast. From there, it can be piped out to the North Sea and pumped some 3,000 meters (about 10,000 feet) down into porous rock formations. “If we succeed in setting up our own infrastructure, industries in the UK, Germany and elsewhere can see that if they capture their emissions from their industry they can actually send it somewhere and somebody will make sure it is safely stored,” said Gassnova’s Sundset. Industry insiders have said there is already interest in the Norwegian CCS model from companies elsewhere in Europe. “Norway is very much one of the front-runners on CCS in Europe, it’s really shown that CCS can be deployed as a technology to help reduce CO2 emissions on an industrial scale,” said Luke Warren of the Zero Emission Platform, an interest organization for the CCS industry and research groups, which also advises the European Commission on the technology. “The next phase of Norway’s program, which is developing the infrastructure to enable capture from multiple industrial sources, is really exciting. And I think if this project is realized, there will be opportunities for other sources within Europe to access the infrastructure there,” he said. Previous Norwegian governments have shelved large-scale CCS projects, but the current administration has so far provided the necessary funds for the pilot projects. In its latest budget proposal in October, the government set aside a further €71 million for the development of CCS technology. It has promised a final decision on whether to go ahead with the two full-scale carbon capture plants and the infrastructure for CO2 storage under the North Sea by 2021. The total cost has been estimated to be €1.6 billion. Energy companies Equinor, Shell and Total are already involved in the development of Norway’s CCS project, carrying some of the costs alongside the Norwegian state. But it remains to be seen who will foot the majority of the final bill.